If you're taking Metro over Labor Day weekend, be ready to deal wih some track work and station closures, even on Monday. On Labor Day, Metro will operate on a Sunday schedule. Stations will open at 7 a.m. and close at midnight. Off-peak fares will be in effect all day. On the Red Line, the Bethesda and Medical Center Stations will be closed throughout the three-day weekend. The two stations will close at midnight Friday and won't reopen until Tuesday morning. Buses will take passengers between the Friendship Heights and Grosvenor stops. 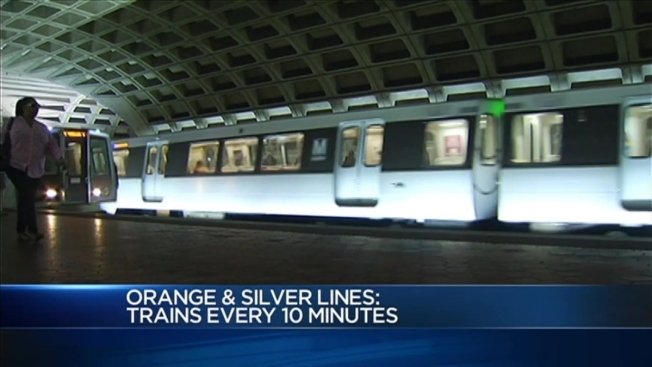 Orange and Silver line trains will run every 15 minutes from 10 p.m. Friday through system closing on Sunday. Green Line trains will run every 16 minutes through closing Monday. Blue and Yellow line trains will operate at regular weekend intervals.